* Sales price including all tax. Price do not include freight and installation charges. Dare to design... the fireplace of your dreams, while being environmentally friendly. 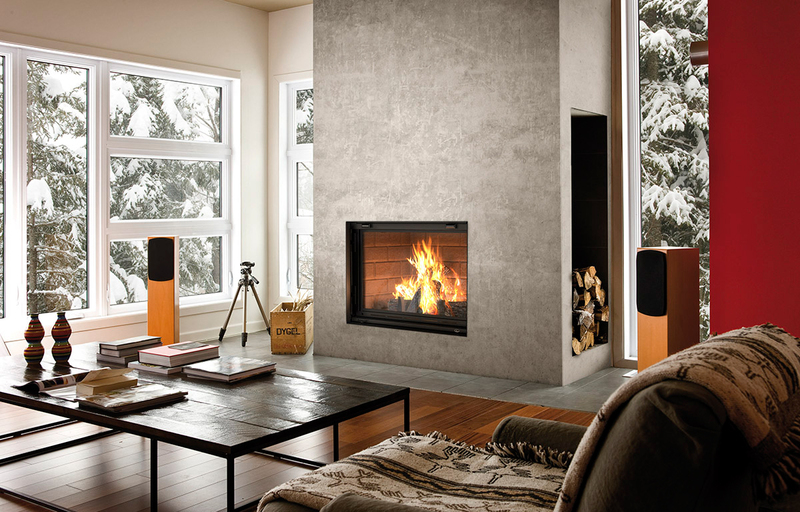 The FP7CE Antoinette wood fireplace offers a nominal heat output of 25 kW and a CO at 13% O2 of 0,04%. Thus, you can benefit from a product with low particulate emissions. Moreover, another advantage of this Valcourt fireplace is its lifting door that disappears to allow you to load wood on the fire or relax with the crackle of the open fireplace. Why Antoinette? Finally, a positive historical reference to the guillotine! The lifting door and clean front gives you the flexibility to design your fireplace in any way that suits you. The Antoinette is a truly versatile fireplace and is all about giving you the ability to design your dreaming fireplace. A narrow overlap or a masonry trim are also available in option.